The Pilates Studio Midleton opened in 2014. We are East Corks first & largest Pilates studio. Our studio is fully equipped for both mat classes & reformer classes. We offer over 25 classes a week as well as several private & semi private sessions. Our studio owner, Lindsay, is also our head instructor, Maria teaches both reformer and mat Pilates & Deirdre teaches our beginners and level two mat Pilates classes . We also hold weekly classes at The Grainstore, Ballymaloe. Our Studio owner, Lindsay Bertram always had a keen interest in fitness. Lindsay worked in the interior design industry up until 2012 but qualified in Personal training with NTC in 2010. Lindsay started teaching one evening class a week as a hobby & trained a few clients privately. After one client broke a vertebra in her spine in a boating accident, Lindsay looked into rehabilitation exercise & came across Pilates. She did a short taster course with Profi Fitness & immediately found Pilates to be hugely beneficial not only in rehabilitation from injury but also in improving posture, gaining strength, increasing mobility & weight loss. Lindsay went on to study further with STOTT Pilates, the world’s highest renowned training centre for Pilates. After months of study & instructor training sessions Lindsay passed her exams, both practical & theory, making her one of the few ‘STOTT Certified’ instructors teaching in Cork. 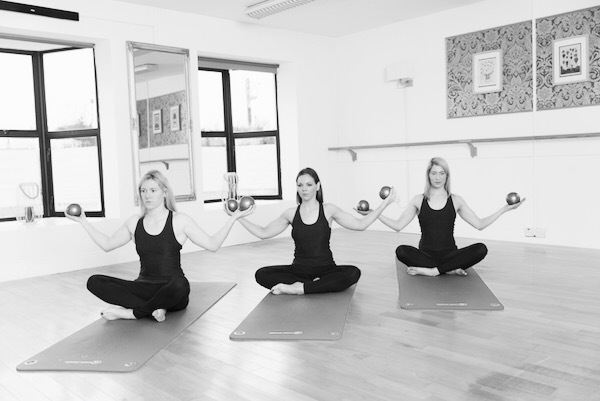 After having taught in several locations around East Cork, Lindsay opened ‘The Pilates Studio, Midleton’ in 2014. Lindsay’s studies are ongoing and include various aspects of Pilates. Some courses already completed include; Pilates for Osteoporosis, Scoliosis Management, Breast cancer rehab, prenatal Pilates, postnatal Pilates & myofascial movement (Zenga). 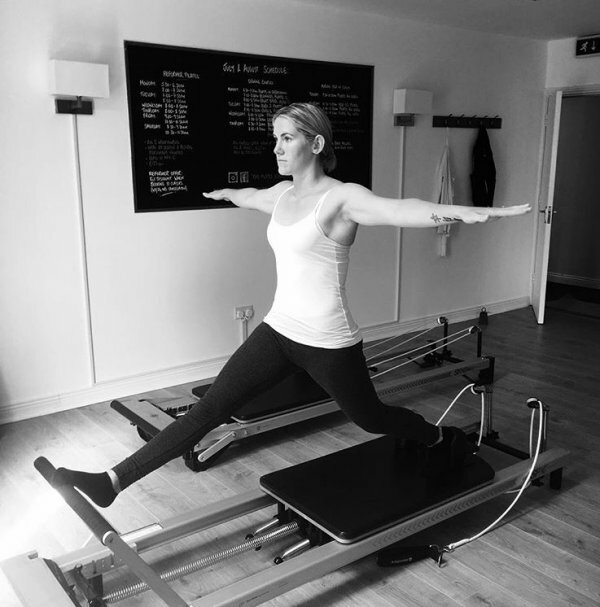 Lindsay bought her first two STOTT SPX reformers in 2015 after she qualified in reformer 1 with Balanced body. She now has 5 machines & is qualified to the highest level of certification with Balanced body & teaches across the board from beginners to advanced level. Lindsay most recently qualified in Cadillac & trapeze Pilates with Balanced body, as well as ‘Core athletic conditioning’ with STOTT Pilates. Lindsay attends the annual symposium hosted by STOTT Pilates in London. Lindsay receives the best quality training over a 3 day period, by attending the workshops given by the highest qualified & most experienced teacher trainers in the industry, some workshops delivered by Moira Merrithew herself (founder of STOTT Pilates). Since Lindsay is a certified instructor with STOTT she is required to gain 0.6 CEC’s every year to keep her status, her studies are therefore ongoing. Maria McKiernan is a keen horse trainer & Pilates enthusiast. She trained with Lindsay as a client in most classes offered in the studio, from Barre to mat, reformer to mum & baby. Maria stood out from other clients due to her exceptional alignment & ability to choreograph movements, as well as having a great interest and understanding of human anatomy. Lindsay invited her to Dublin to train one to one with Sarah McLachlan of Balanced Body in order to qualify to teach reformer at the Midleton studio. Maria did so, and qualified to teach in 2016.